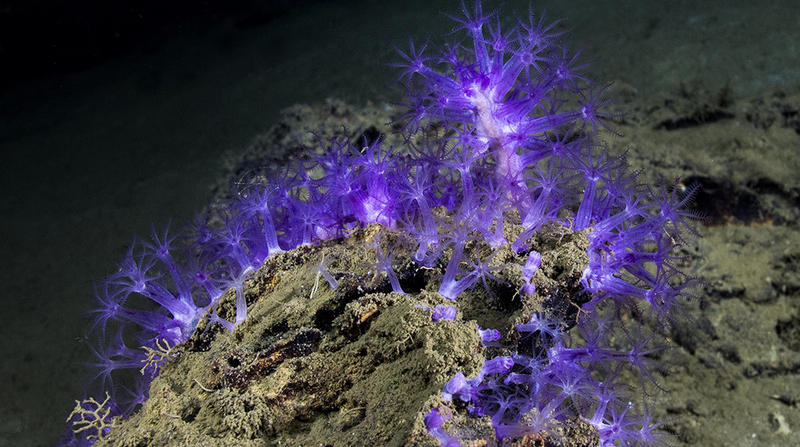 Deewater corals are slow-growing and known to live from hundreds to thousands of years. 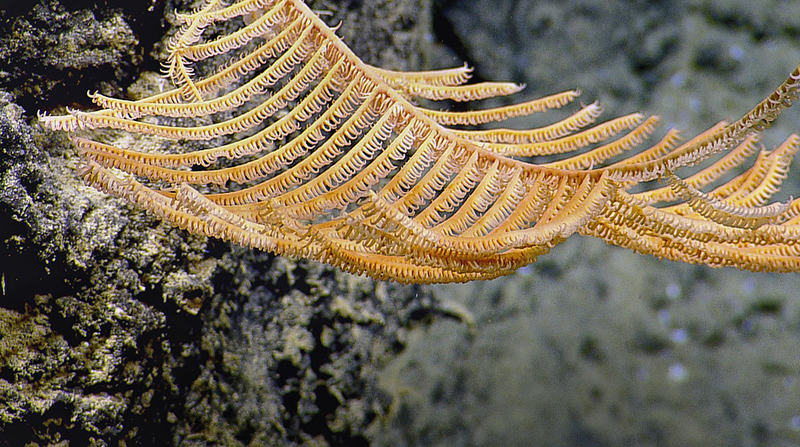 They serve as an important foundation species within deep-sea benthic (living on or in the seafloor) communities in the Gulf. While not directly dependent upon cold seeps, the carbonate deposition resulting from microbial activity during active seepage forms the hardground substrate upon which the corals are dependent. They are diverse, complex, sensitive to damage, and slow to recover. 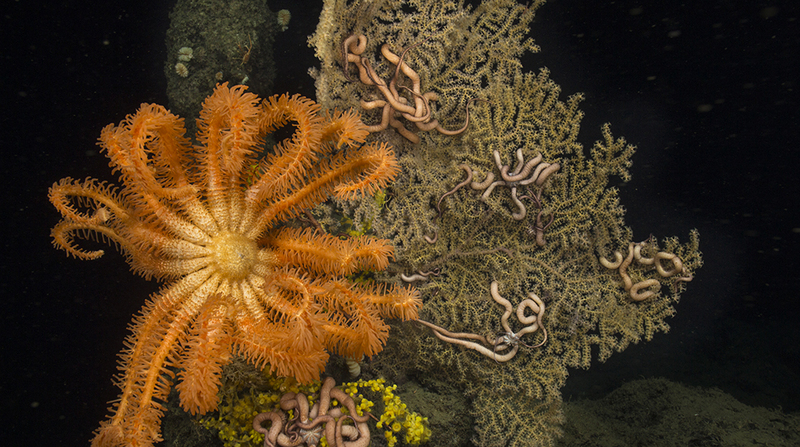 Their complex structures provide habitat, energy and matter for a variety of organisms, including fish, sponges, clams, oysters, crabs, brittle stars, barnacles, and krill. 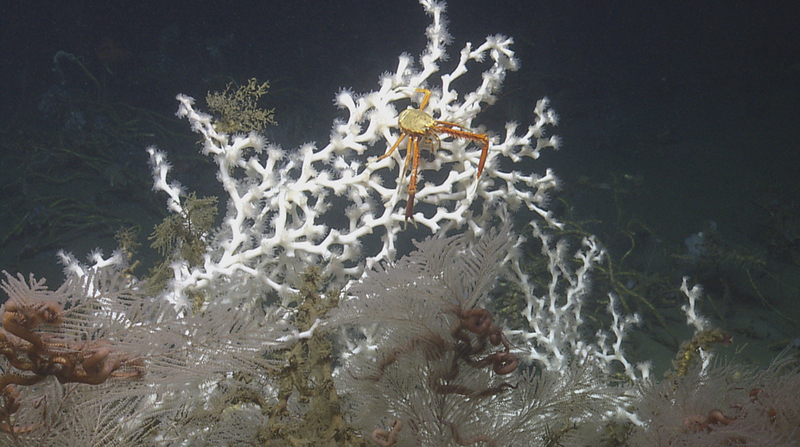 Damage to deepwater corals from the Deepwater Horizon accident was first documented at an area southwest of the accident site in November 2010. This site was known to be in the path of the 100-m thick deepwater plume of neutrally buoyant water enriched with oil and gas from the failed Macondo well. 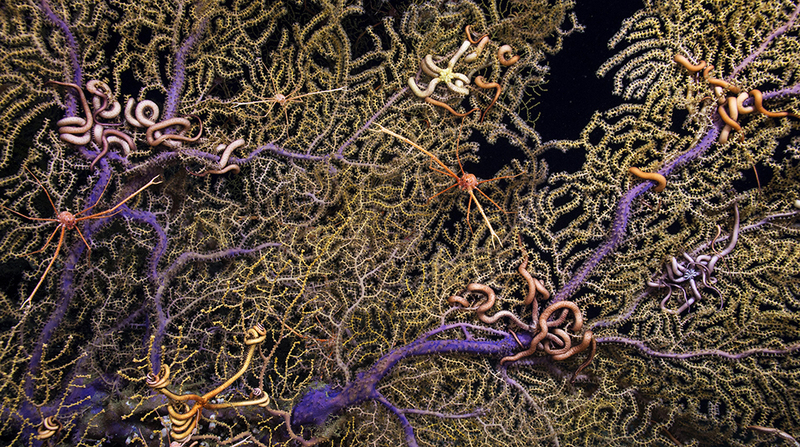 Scientists observed numerous coral colonies at this location showing widespread signs of stress, including tissue loss/death, sclerite enlargement (calcite skeletal elements in the coral’s tissue layers), excess mucous production, bleached ophiuroids (brittle stars that live on the corals), and covering by brown flocculent material (floc). This study also directly connected the observed damage to the DWH spill; the floc on the corals was found to contain oil that had fingerprint characteristics of Macondo oil as well as a component of the chemical dispersant used in the aftermath of the spill. Since 2010 several additional sites with damaged coral colonies have been discovered, and researchers have developed innovative sampling methods and data analyses for documenting impacts. Using seagoing submersible vehicles, such as the deep submergence vehicle (DSV) Alvin and Remotely Operated Vehicles (ROVs), coral data have been collected and analyzed using high-resolution digital image capture. This method enabled ECOGIG researchers to visually observe and measure changes to the corals over time, and in some cases document recovery. 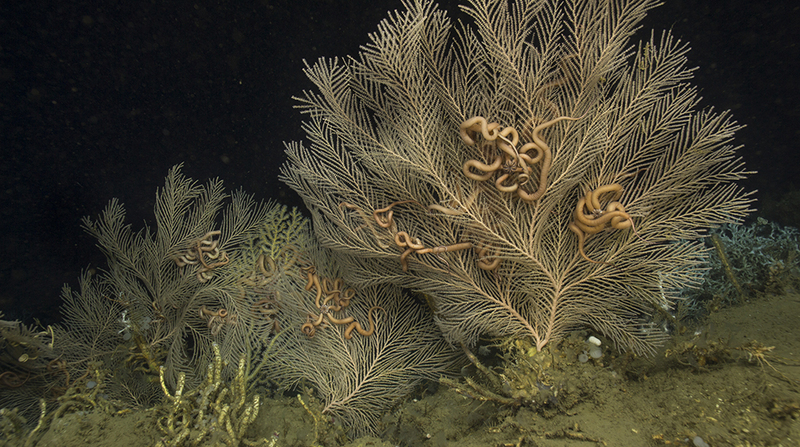 Research on the oil spill’s impacts on deep-sea corals of the Gulf will continue; the time series photograph analyses methods has been used to document impacts to other sites found years after the DWH spill. 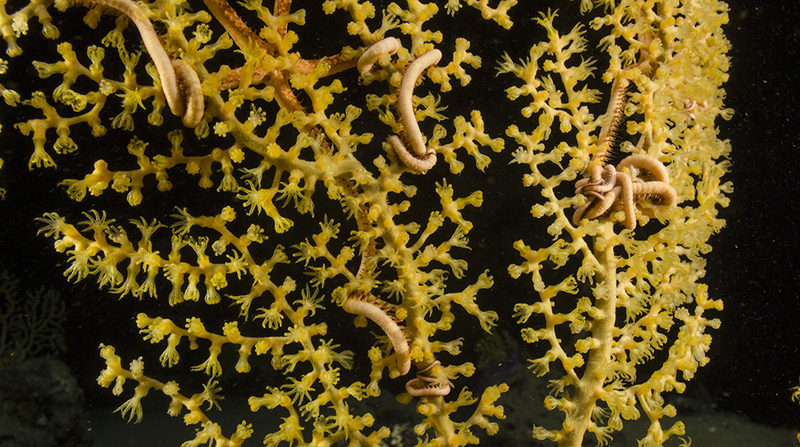 Since 2010 over 350 spill-impacted coral colonies have been visited and imaged repeatedly. 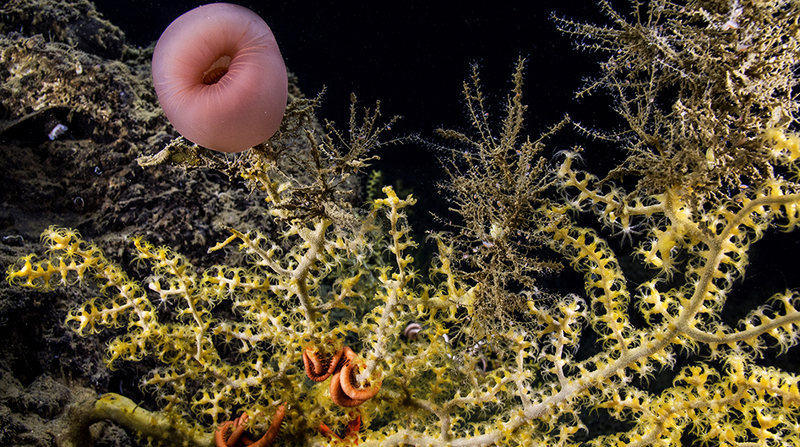 These studies have allowed researchers to not only investigate the impact on the corals themselves but also draw conclusions about the movement of the DWH oil after the spill and the extent of the spill’s impact footprint on the seafloor. In particular, the ECOGIG coral studies have helped researchers understand the extent of the movement of the sub-surface oil plume and the importance of marine oil snow formation as a transport mechanism allowing oil from surface oil slicks to reach the seafloor.